Few images capture the spirit of America in the mid-to-late 19th century like a vast herd of cattle being guided slowly but surely toward the sunset by a team of tough-as-nails cowboys on horseback. While the American rancher has been romanticized and Old West stereotypes rely more on dime store fiction than accurate history, there’s no denying that ranchers played a defining role in the development of this nation. In fact, the traditional American ranch formed a solid foundation for our social and cultural landscape throughout the 19th and early 20th centuries, as well as a vital economic engine. But what about today? Agriculture has changed dramatically. A cowboy from 1875 wouldn’t quite recognize, much less understand, the modern American ranch. Before exploring the sector and its challenges and opportunities, let’s be clear on exactly what industry we’re discussing. A ranch does not grow crops; it is a livestock farm and uses the land for grazing – one of several differences between farms and ranches. 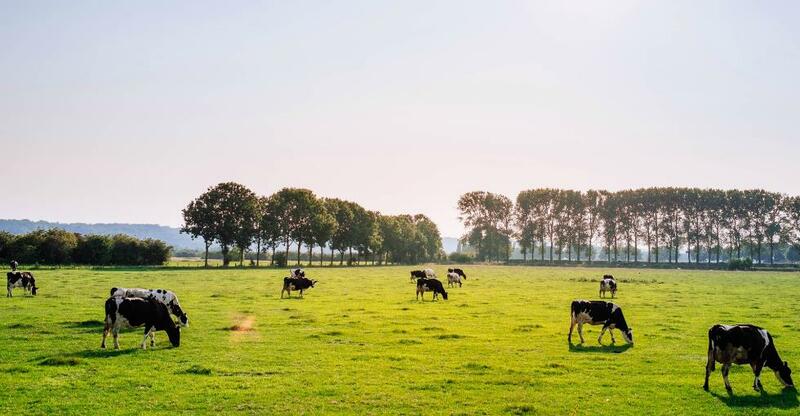 If you’re interested in starting or buying an agricultural business, it’s important to recognize whether your strengths and preferences are suited to the ranch lifestyle. Ranchers raise livestock for meat, dairy products, leather and other goods on land they own or manage on the owner’s behalf. They spend the bulk of their time maintaining pastures and breeding, feeding, housing and administering medicines to their livestock. The work is pretty strenuous, and there’s an element of danger that comes with working with large animals and farm machinery. Advanced degrees are not generally necessary, but many professional ranchers complete two- or four-year programs in agriculture, animal husbandry or something similar. Likewise, most ranchers will work on one or more ranches as a ranch hand or hired laborer before starting their own operation. Ranchers should be able to care for the basic health and welfare needs of their stock, and know how to maintain and repair the equipment and buildings on their ranch. Otherwise they’ll have to sacrifice profit margin to hire employees who can handle these fundamentals. While ranching might seem a good pursuit for someone who enjoys their own company, believe it or not there are plenty of interactions with humans as well as animals: employees, lenders, suppliers, customers, your accountant and more. Forget romanticized notions of a rugged loner taming the wild frontier: you’ll quickly learn that a ranch is a business like any other. Not understanding, or ignoring, the business basics like tax, accounting and regulations is a sure route to failure, whatever your skills as a rancher. While this can be a lucrative business, plenty of ranches struggle financially because they lose ground to rivals either in terms of price or quality. It’s vital, therefore, to stay abreast of innovative new ranching methods to maximize productivity, profit margins and the quality of your produce. Like any farming business, ranches have good years and bad years. A bovine epidemic or natural disaster can throw a monkey wrench into even the best laid plans, so it’s wise to keep some cash in the bank in fruitful years so you can absorb losses in the bad ones. True success is often as much a sign of persistence and thriftiness as it is of skill or intelligence. Like most agricultural businesses, ranches are subject to the constant fluctuations of international commodity markets. Although fickle weather is less of a problem than it is for crop farmers, the rancher still runs the risk of diseases, accidents or even wild predators taking a bite (pun totally intended) out of their profits. One thing we can say for sure is that food is as recession-proof as industries come. With meat and poultry accounting for the biggest share of US agriculture, Americans’ appetite for ranch produce shows no signs of abating. Overall income and asset values have been falling since 2014 and that trend is expected to continue through 2017, although the decline is relatively slow and overall levels are still respectable. The cost of operating a farm or ranch has been declining slowly in recent years as technology improves efficiency and the cost of fuel and other basic supplies remains historically low. Although many commodities experienced record or near-record highs between 2011-2013, commodity prices have since plummeted. Although a bumper crop in 2016 helped offset the drop in prices for commodity crops, livestock farmers felt the fall in 2016 and will again in 2017. Still falling since the record high posted in 2013, US agricultural exports are expected to still account for more than 30% of the sector’s entire value in 2017, so ranchers can and should still be going after foreign markets if practical. So ranching is clearly still lucrative under the right circumstances. The inclusion of ‘off-farm income sources’ helps to explain the sector’s resilience amid low prices. Into different breeds or species, thus spreading their risk (like a diversified stock portfolio, the chances of downturns hitting all commodities at once are slim). Into niche markets with higher-than-average profit margins, such as grass-fed beef or locally-sourced ranch products. Opening land and properties to other uses such as the growing agri-tourism business, fairgrounds or athletic fields. Redeploying staff and equipment to activities, such as junk-hauling or excavation, that can make use of trucks and heavy machinery.